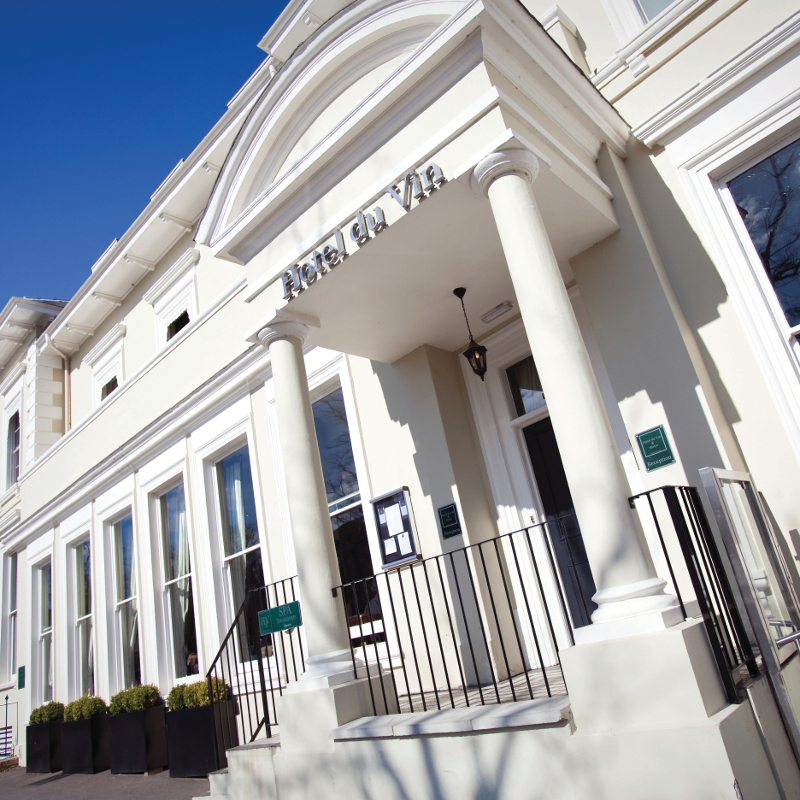 Thank you for your interest in Hotel du Vin & Bistro – Cheltenham! Less than 100 miles from London, Hotel du Vin Cheltenham is in a remarkable town, with award-winning gardens, unique shops, music and literature festivals, and a world-famous racecourse. It houses 49 stylish bedrooms and suites, a bistro, bar, courtyard and a varied choice of private dining facilities. 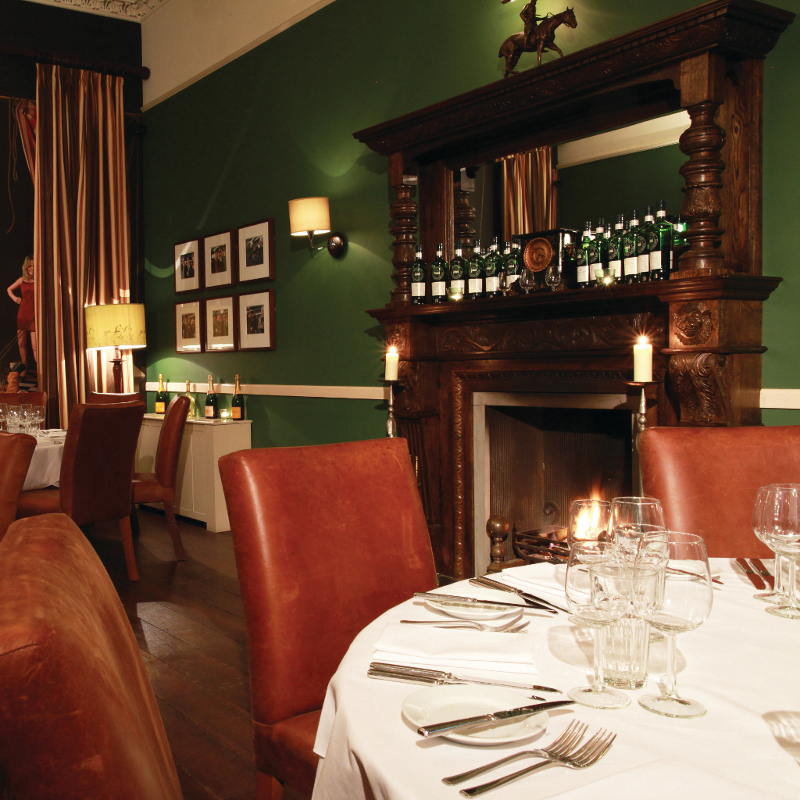 With space for up to 36 diners, Sinners Enclosure is the hotel’s largest private room, featuring a grand fireplace, tall windows and comfortable leather seating. The Chef’s Table, with its eye-catching mural and window into the busy kitchen, is the perfect place for a uniquely entertaining evening for up to 22 guests. Different again is the Almaviva. 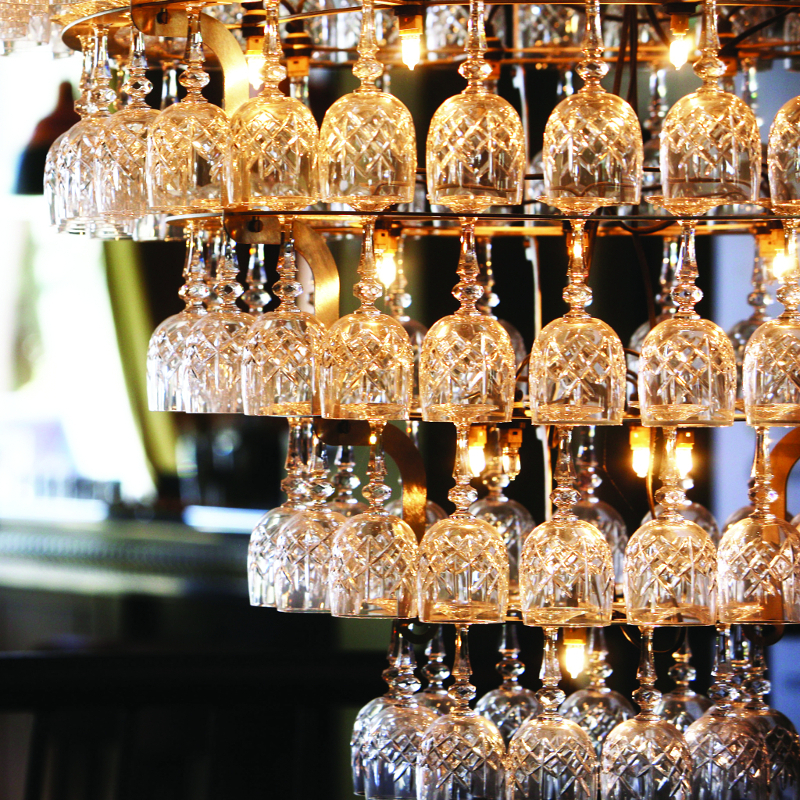 Welcoming up to 16 guests into a relaxed space with exposed brickwork, it offers spectacular views over the hotel’s huge glass chandelier and busy bistro. For a special event or dinner for a larger group, you can hire our bistro exclusively. You and up to 130 guests can have this elegant space all to yourselves. Afterwards, anyone making a night of it has their pick of 49 timelessly styled bedrooms and stunning suites – all with luxurious handsprung mattresses, fine Egyptian linen, deep baths, powerful drench showers, flat screen TVs and air conditioning. 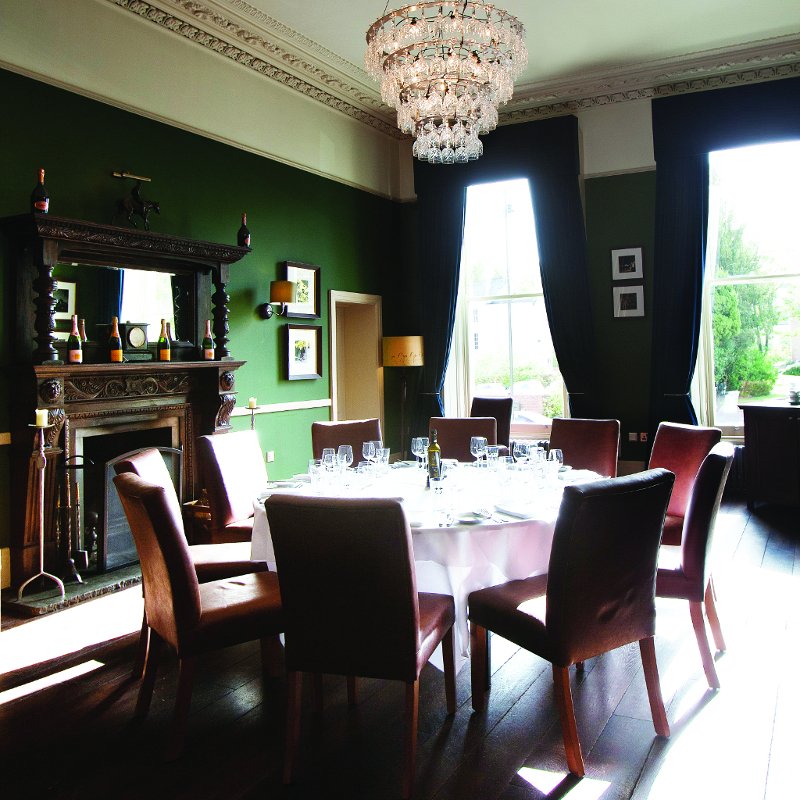 Hotel du Vin Cheltenham has two inspiring meeting and events spaces, The Chef’s Table which can accommodate for up to 200 people and Almaviva for 14. Both rooms are modern, airy and flooded with natural daylight. Distinctive features such as a stunning mural depicting our busy trademark bistro, exposed brickwork and glazed doors. 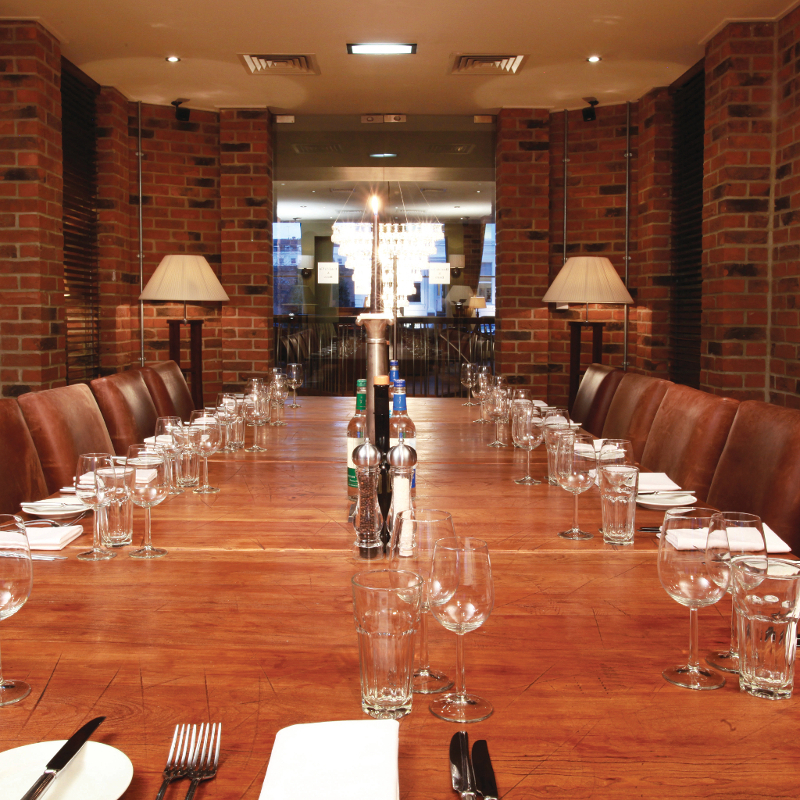 Hotel du Vin Cheltenham has meeting spaces that leave a lasting impression. 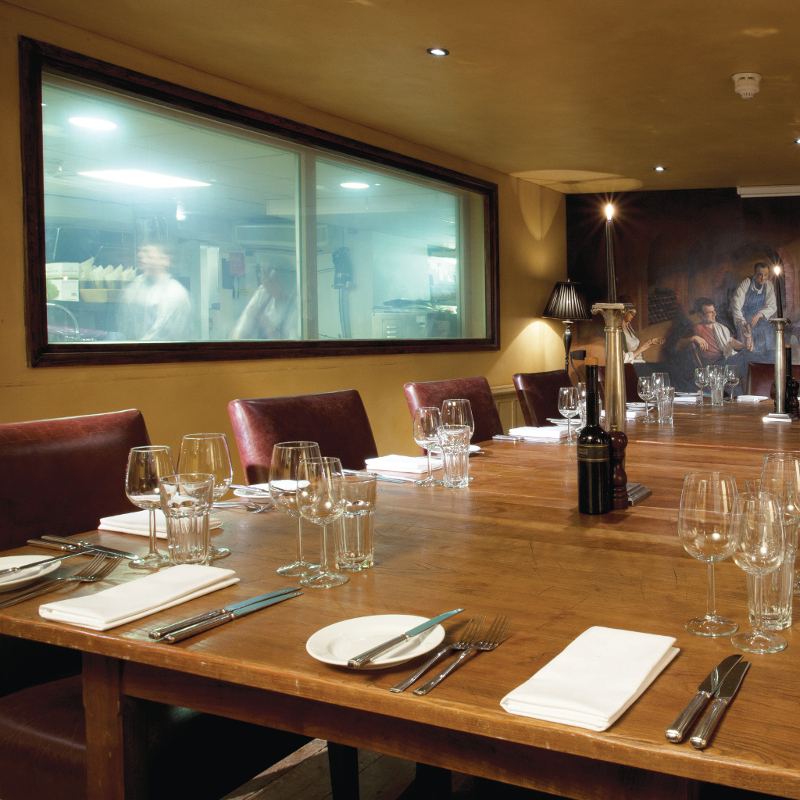 The Chef’s Table is perfect for business or pleasure and can be transformed from a boardroom meeting during the day to a stunning private dining room in the evening. It has a fantastic feature window looking directly into the heart of the kitchen enabling you to watch the chefs hard at work. This is an optional feature. It holds 20 people boardroom style and 30 people theatre style. Almaviva is a light and airy room ideal for meetings, lunches and dinners for up to 14 people. It holds 14 people board room style and 20 theatre style. Sinners Enclosure” bar is a relaxed and informal lounge bar with comfortable sofas and chairs. Perfect for a break out room during the day and cocktail events by night. The Courtyard is a beautiful courtyard to the rear of the hotel, perfect for meeting recesses and drinks receptions.